I've got a Jet Black '06 on order, no production number yet. What would be the chances of being able to change it to Saphire Black? In addition, what do you think that it would cost? If the car hasn't went into production then you should still be able to change the paint color. Call your dealer as soon as possible and have them request it. Price wise - I'm thinking anywhere between $1,500 and $2,500. A member on this forum, Raffy-D, has a Sapphire Black car. Get in touch with him and confirm the exact price of the individual paint, and don't let the dealer stiff you with a different price. I have an Oct 25 ED pickup for a E90 330i and would LOVE to get the "piano black" interior trim - it looks awesome. I emailed BMW NA and they said "no dice". Can my service advisor add this as an option and any idea of the price? When you contact BMW NA you will almost always get a different response each time. Just ask your sales person that you want piano black trim on your car and have it called in to BMW NA. Make it known that you will be a lot happier if you're able to get that trim, and almost make it feel like you're not going to buy the car unless. If the car hasn't been built yet, it'll be possible. Mr. NACHTBLAU might be able to get you a part # for that trim. 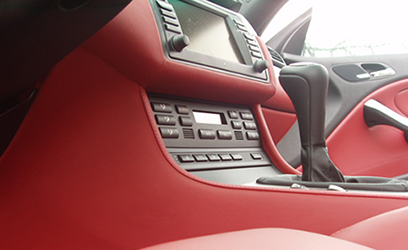 Someone recently ordered a full leather IR upgrade for their car here in the US. He was able to get everything except for the Seat Backs. BMW NA refused that request. depending on what country I end up in, if I stay in America, I have been obtaining part numbers special options I plan on getting with my M3 Individual. I don't have the numbers listed with me on this computer, but if any of them sound cool to you, let me know and I can post them later. What's better, if they are unable to accept my requests, my aunt is German and lives in Germany and would offer to buy the car with these options there, then I can deal with shipping later so I get everything I want. ...and thanks to you guys for some of the addons I forgot about like the special mirrors. What other secret options are there? I want to load my baby up if I'm gonna get it. I haven't decided on the final colors yet but it will most definitely be some kind of black on the outside and black as one of the 2 interior colors. Also does anyone know if I can get CSL parts built with my car? Mainly the trunk? Last edited by 195; Sat, Aug-27-2005 at 09:39:29 PM. Naseem, would it be possible to order (for any amount of cash/knowing all the right people) a past BMW production color? I once owned a 1997 M3 in a very rare color and was wondering if I had the cash, if there was a way to get it painted that color from the factory. You would get killed on your resale if you did it after factory. Congratulations. Your religion started all the wars and killed thousands of innocent people. IR Seatbacks would be awesome. You need the Paint Code. You can have what ever you want...but it will cost you. I wanted an out of production color originally...BMW AG sent me an approval but stated a cost of $2800 US instead of the normal rate. It should be $2000 but there is no metallic paint charge, so $1500 more than a std metallic color. Stepped Headers, CRT, ESS, AFE Elbow, TCK. All times are GMT. The time now is 12:27:24 AM.